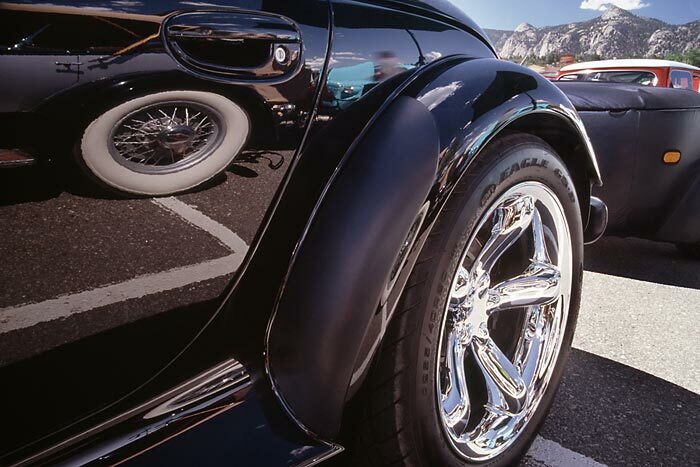 Reflections of old and new roadster wheels. Plymouth Prowler with trailer and mountains in background. The Coolest Car show in Colorado, Estes Park Visitor Center.